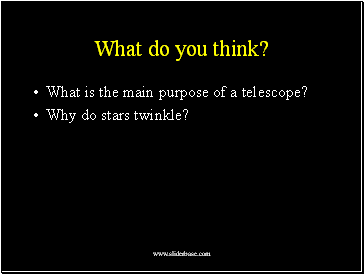 What is the main purpose of a telescope? 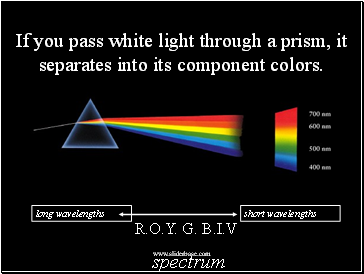 If you pass white light through a prism, it separates into its component colors. 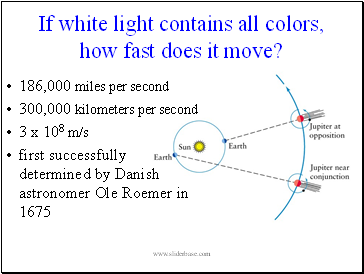 If white light contains all colors, how fast does it move? 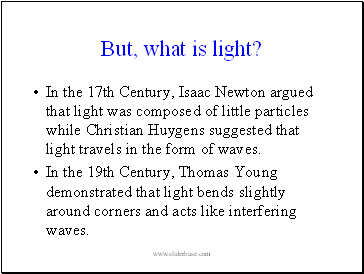 In the 17th Century, Isaac Newton argued that light was composed of little particles while Christian Huygens suggested that light travels in the form of waves. 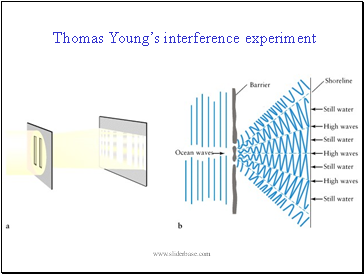 In the 19th Century, Thomas Young demonstrated that light bends slightly around corners and acts like interfering waves. 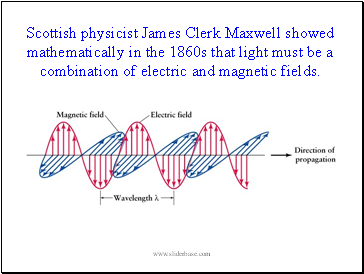 Scottish physicist James Clerk Maxwell showed mathematically in the 1860s that light must be a combination of electric and magnetic fields. 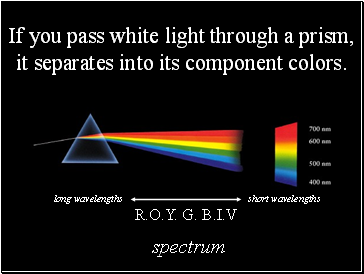 It wasn’t until 1905 that our current understanding of the nature of light emerged. 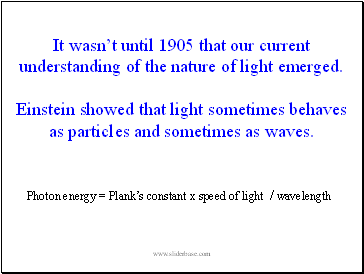 Einstein showed that light sometimes behaves as particles and sometimes as waves. 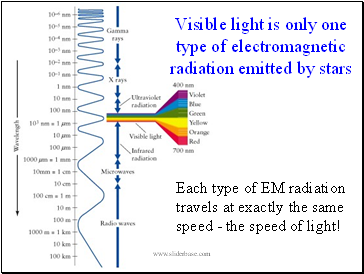 Each type of EM radiation travels at exactly the same speed - the speed of light! 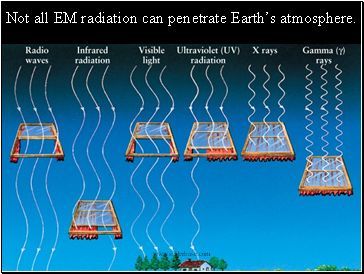 Not all EM radiation can penetrate Earth’s atmosphere. 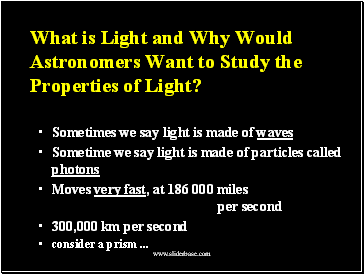 What is Light and Why Would Astronomers Want to Study the Properties of Light? 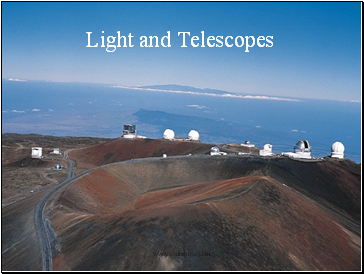 Consider Orion in Different Wavelengths of Light!